Welcome to Manse Elementary! I have been the school counselor since the 2016/2017 school year. 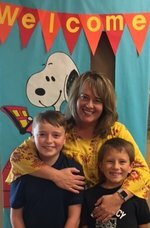 Check out the "Counselor's Corner" on the Manse Elementary homepage for a comprehensive description of what I do. Each year I look forward to working with all the students and supporting them throughout the school year. Best wishes for a wonderful school year!